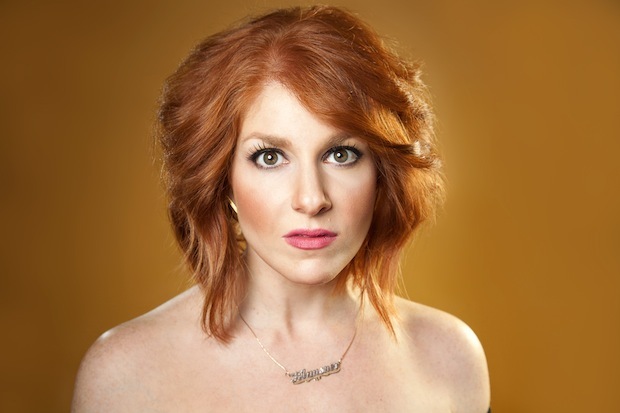 You probably know Julie Klausner from my 2010 interview with her. If not for that, maybe her memoir I Don&apos;t Care About Her Band or her personable podcast How Was Your Week. Starting Tuesday, you will also know her for her role as Young Adult author, as her new book Art Girls Are Easy, a funny and romantic summer camp romp with an artsy twist, will be released May 7. I asked Julie what it&apos;s like wearing a new YA hat, and below that, check out an excerpt from the book. How hard or easy was it to switch gears into YA writing? What challenges did it pose? It&apos;s completely tough to write a book, period. But switching gears into fiction was absolutely challenging, if only because I had to make sure I wasn&apos;t using my own voice the whole time when I was writing—whether it was in the description or in the dialogue. I don&apos;t have a lot of experience writing fiction. Part of that is because I have such a loud nonfiction voice. I am who I am. Another element of the challenge of having to sit down and make sh*t up is imagination. As I grow older, I become more and more fearful that I have little to no imagination. The kind of abilities I had as a little kid to just play and make things up as you went along. So, I had to get past that fear to crack the story, and then to write in the voices of the kids I invented. But as far as it being a challenge from a YA perspective, I honestly have to say that I just tried to be true to the material, and I didn&apos;t think of the audience as being below or necessarily less sophisticated than somebody I would usually write for. I didn&apos;t dumb down my prose—or, I tried not to. You don&apos;t have to give us details (but feel free to), but how much of the book was inspired by your own young adulthood? I absolutely relate to the main character in the book. I was a very emotionally intense adolescent, very interior. I was eaten alive by my own passions, which were equal parts artistic drive and sexual madness. That&apos;s where I drew the inspiration for Indigo&apos;s tumult. Her conflict is more internal than it is a concrete struggle with her best friend. She does have some love affair gone sour stuff with her best friend Lucy, but the main plot exists within Indigo, I think. As far as the setting, I did go to a Fine and Performing Arts sleepaway camp, but it wasn&apos;t like Silver Springs at all, insomuch as the counselors were NOT sleazy and I will go on record as saying nobody ever tried to make out with me at the time. Which is still disappointing. What YA books have inspired you, either when you were a young adult or now in your general adulthood? The first Gossip Girl novel, by Cecily Von Ziegesar, was a huge inspiration, in terms of when I was first researching the genre and my agent suggested I see what was out there. I was so impressed by its satire and humor and its references, as well as by its structure. It read like a television show in how it was laid out; each scene introduced a couple of characters and they all converged in the middle and at the end. I mean this as a huge compliment. So, that absolutely encouraged me to write one of my own. AS far as growing up, like everybody else I was shaped by Judy Blume&apos;s opus, but I also want to give a shout-out to Paula Danziger. She wrote some steamy—for me, at the time—novels about teenage girls making out with dudes and coming of age, and I plowed through every one of her novels. Also, if you Google her, you&apos;ll find some pretty incredible photos of her wearing a jaunty headband, which I guess, along with her purple glasses, was a trademark. She&apos;s dead now, which is very sad. A fellow redhead, too! Redhead Hall of Fame for her, no doubt. What are your plans for celebrating your first YA book&apos;s release? None as of yet! But I will probably overeat that night. Well, that is unfair to disqualify Briscoe and Jimmy Jazz, but I&apos;ll play along. I&apos;ll go with most recently adored instead of utmost overall pet. Yesterday I met Marc Spitz&apos;s two basset hounds, Jerry and Joni. Jerry dazzled me, with his vocal displays of neediness and alpha-tude, but Joni ultimately won me over with her nuzzles and her plaintive, God-like eyes. I love them both. They are good hounds. “Wake up!” Eleanor hissed. Sure enough, the bus was pulling up to campus, and the sign welcoming motorists to Silver Springs elicited cheers and general rabble from the peanut gallery of young campers at the front. Indigo felt disoriented and groggy. She rubbed her eyes carefully so as not to smudge her mascara and looked out the window.They were just pulling up to the front of the camp.Indy could make out the lush lawn and blue buildings with sloping gray roofs in the near distance. Massive shady trees were spaced evenly throughout the campus, and the Silver Springs camp flag, which bore a feminized coat of arms that represented each discipline taught at camp above the Latin phrase ArsGratiaArtis (“Art is the reward of art”), danced lightly in the breeze. The overall effect was quite ethereal. Indigo began to imagine which colors she would mix to achieve the specific shades of the scene if she were to paint a landscape right now. Chartreuse and goldenrod. Maybe some cerulean. “You were snoring.”Eleanor smirked, her thin lips a line graph of contempt under her Lancôme burgundy matte stick. “It was pretty annoying.”That was rich, coming from her. Indy gathered her things: she couldn’t wait to get off this bus and avoid Eleanor for the rest of the summer. As the girls lined up like elegant, talented cattle down the bus aisle, the camp director, Lillian Meehan, greeted each camper as she exited with a lei made from organic peonies tied together with red kabbalah string. Lillian was tall and amiable, and thin enough to look great in clothes, though not necessarily pretty. Basically, she was Glenn Close with dark hair and a whistle around her neck. Lucy looked back at a still-sleepy, rumpled Indigo before getting off the bus. As the two girls made eye contact for the first time since their light dish session about Tyler or Taylor or whoever, Lucy smiled and winked at her friend, and Indy felt the warm rush of camaraderie wash over her. She smiled back and soon enough emerged from the bus into the warm kiss of sunlight on the grassy patch, where Lillian greeted her with a lei. And when she lifted her face to take in the familiar postcard of the sprawling green campus before her, Indigo found something small and sublime in its composition. There, on the lawn of the main sprawl of Silver Springs, right near the office, stood Nick Estep, holding a blowtorch to a life-size rectangular metal sculpture. Goggles rested over his longish hair, which trickled onto the collar of his Nirvana T-shirt in the Berkshires sunlight.Indigo’s heart rocketed to every point on the surface of her skin. He was here after all.